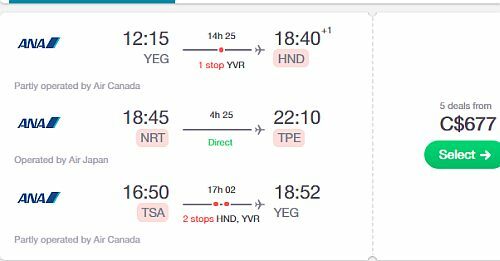 You would fly from Edmonton to Tokyo, Japan (spend time there) and then fly from Tokyo to Taipei, Taiwan (spend time there), and then fly home from Taipei to Edmonton. NOTE: The above are just example dates. Many other dates will work in and around the dates listed above. 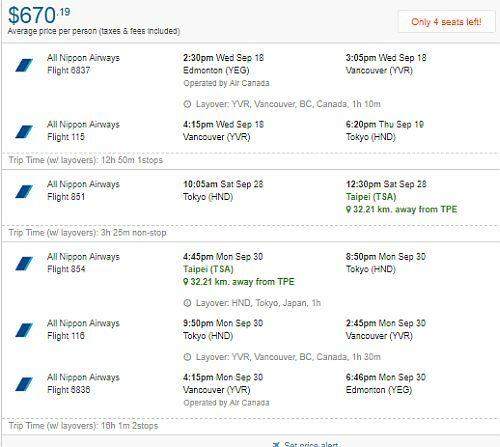 edmonton, yeg, flight deals, asia, east asia, taipei, taiwan, tpe, japan, tokyo, nrt, ana, all nippon airways, hnd and tsa.